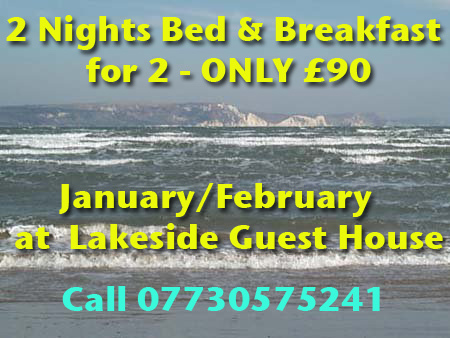 Bed and Breakfast at Lakeside Guest House in Weymouth, Dorset. 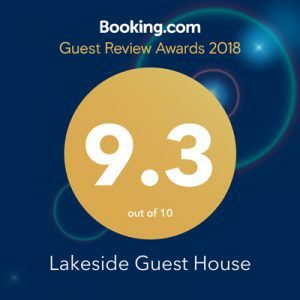 A warm welcome awaits, whether you are walking along the South West Coast Path, bird watching, rock climbing, enjoying the wonderful Weymouth Seaside experience, working, cycling, or just visiting the picturesque Weymouth and Dorset area at the heart of the Jurassic Coast. 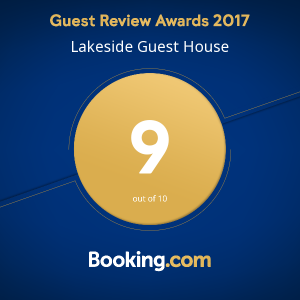 Lakeside Guest House in Weymouth offers a welcoming and friendly atmosphere where we guarantee a totally relaxing experience overlooking the Radipole Lake RSPB Bird Reserve. Start the day with our popular Scandinavian Style Breakfast and cooked options including a full English, scrambled eggs etc,. 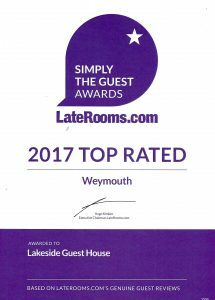 with fresh Coffee /Tea and Lakesides famous Home Made Bread and tasty accompaniments before discovering the delights of Weymouth and Dorset. Also included in our price is our comfortable Guest Lounge, Large Garden, Free WiFi and Parking. We have had some wonderful guests staying with us so please do read our Guest Book page with a few of their comments. 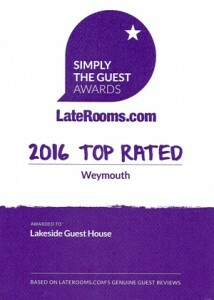 See the Awards from LateRooms.com and Booking .com from some very satisfied guests. or use the Contact Lakeside link above.